It seems a small thing, to lend a friend a book. We don’t necessarily recognize when life changes. Trumpets and fireworks don’t usually accompany the quietly profound moments, when we may hold a catalyst for change in our hands. It’s not until long after, when we look back and realize we’re no longer the same person. We’ve been given permission – no, given ourselves permission to become more of who we really are. Maybe take that real new ‘us’ out into the world, in teeny tiny brave increments, and try it out, gauge reaction. Feel a little safer, braver, tiny steps on the journey of becoming our most authentic self. My friend Sandro was an electrician, a pragmatic, down-to-earth guy with a sweet grin and kind heart. I met Sandro some years earlier when he would bring his then-girlfriend to ride at the stable I worked at in Princeton, BC. We would explore trails with good horses, and a respectful friendship ensued. We had endless conversations around horsemanship, Sandro green and enthused, me more experienced and still enthused. I was delighted when he finally entered the world of horse ownership with a big flighty-hearted bay, an off-track Thoroughbred named Snoozer that kept him guessing and learning. Snoozer brought the man immense happiness. Sandro’s specialness as a human being was highlighted when he phoned one day to tell the story of a trail ride gone terribly wrong, the emotion evident in his voice. He’d gone out to a local park, riding on Benji, a horse he’d borrowed for the day. They crossed a bridge that had been ridden over many times. The bridge deck gave way and Benji fell through, front end catching on the girders, hind legs hanging, thrashing below searching for purchase. The horse floundered while waiting for rescue, fire trucks on route. Sandro climbed down beneath the bridge and stood knee deep in the freezing water, risking a barrage of kicks to the face as he wrapped each of the horse’s legs to protect them from further injury. The courage of this act was extraordinary – he barely knew Benji and one kick from a panicking horse could have changed his life forever if not killed him. But all he cared about was helping the terrified creature. He did his best to stay calm, hoping his quiet would rub off on Benji, or at least not frighten him any further. A sling was arranged and the fire department dragged the horse unceremoniously to freedom, but it was too late. The shock was deeply entrenched and the borrowed horse lay unmoving on the ground. A flight animal that’s been trapped will eventually give up as prey animals do – a death that comes when the spirit has left the body is a death that is no longer agonizing. Even though his injuries were nowhere near enough to kill him, the horse had given up and was shutting down. The vet that arrived on scene said if the horse didn’t get up, he would die. Desperate measures may sometimes require brutal actions, and the vet began kicking the horse as hard as she could, trying to force him to get to his feet. The animal lay there, boots thudding against his ribs. After a few hard shots, Sandro stepped in and told her to stop. He dropped to the wet ground, sat cross-legged and pulled the horse’s head into his lap. He stroked the animal, speaking softly, offering the same gentle encouragement as he had while standing under the bridge wrapping legs in mid-flight. Sandro cuddled and crooned, rubbing Benji quietly, willing him to come back. Ten minutes later, the horse rolled over and clambered to his feet, walked away a few yards, had a big shake and began to graze. He completely dismissed the incident and carried on as though nothing had happened. Sandro was in disbelief. A few scrapes, some bruising, but physically the horse was relatively unscathed. And so change begins. I opened the book, Riding Between The Worlds, a volume too ‘woo-woo’ for my traditional Italian friend, and found myself lost into a place of possibilities. Where horses are seen as sentient, conscious creatures sharing emotions and needs as fellow-earthlings. 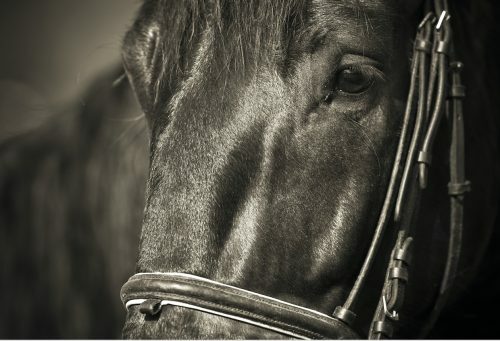 Where horses love and cry and have deep relationships. 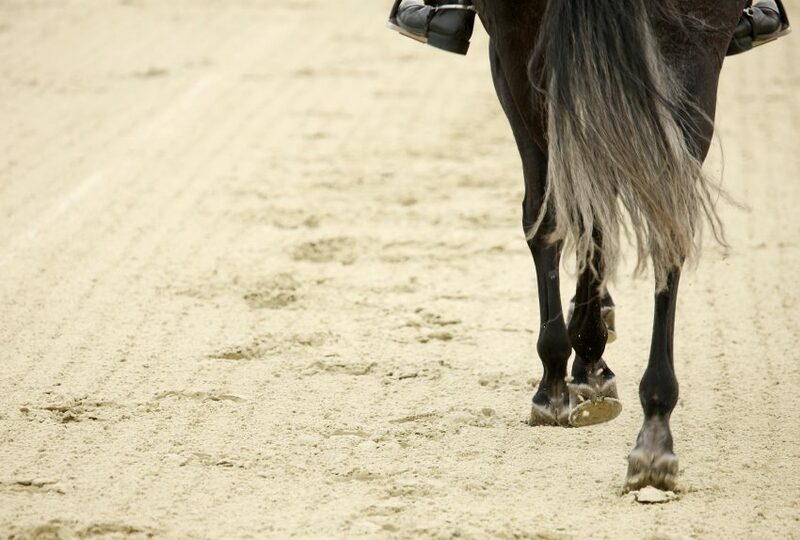 Where horses see people for who they authentically are at a soul level and have many lessons to teach us. This was Sandro’s gift. I felt like I’d come home, that all the floundering I’d done, my round peg-square hole existence in the equestrian world now had a name, a place, a belonging. I had a community. I devoured that book with hunger. The next step was to get onto the internet and google Linda Kohanov, the author. There was nothing for it, at whatever expense, I would study with this seer and learn to see for myself, the connection, the spirit, the surrender of dominance and submission, not only in my life with horses, but as a goal in every interaction from that point forth. Because to change such an immense chunk; to shift this hard into becoming who I really was, painted the world with entirely new possibilities. My search turned up an apprenticeship program in Arizona. Yes! I would do this thing. For my own spirit this was the most important turning point of my life to date. Not that I wished to worship at the altar of some guru, or that Horse had taken on the guise of religion, but it was as if my soul shifted and retrieved parts of itself that had long been shattered and scattered like shards of stained glass, even though, at that stage, I could not have languaged it so. But Arizona is a long ways to travel and as I scrolled down through the computer screen, the words Chiron’s Way leapt off the page. In Maple Ridge, BC, a Kohanov apprentice offering the same learning only three hours away. I didn’t have time to send an email. I was driven to pick up the phone. The poor woman on the other end, she must have shook her head at my endless prattle about how inspired, how important this was, how I must, must participate. There was an Epona workshop offered that weekend. There was a space for me. And so life changes, just like that. As simply as opening a book. And while it may have been too far out there for my friend, it seems to me that he already embodied many of the teachings. If we could all show a bit of the intuitive action, kindness, and respect to our fellow creatures that Sandro exemplified with Benji’s accident, wouldn’t the world be a much improved place? 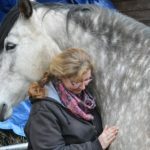 AUTHOR BIO: Ainsley Beauchamp is a certified equine therapist; specializing in structural alignment, massage, acupressure, as well as energy and belief change work with Reiki & PSYCH-K. Working for 9 years as a horseback wilderness guide taught her to deeply respect horses – and keep a sense of humour! Ainsley lives with her 5 horses, 3 dogs, numerous barn bunnies, and a very patient husband. She enjoys painting and riding her horses through BC’s beautiful mountains. This is a lovely piece, Ainsley. It’s fascinating to hear the ways people percive their callings. It’s like find your way back home by a trail of bread crumbs. It seems many are stumbling across their paths this way. A word or gesture from someone who’s made the leap resonates with someone, their ranch shifts, more people feel it—and on it grows. It will continue to grow because our nervous systems are designed to be connected with those of the beings with whom we share territories. When hook up, our body-mind-spirit gets a crazy-good hit of HOME. We want/need to replicate it. When we do with a degree of regularity, we begin to heal from having been cut off from our life force. So well put, “like finding your way back home by a trail of bread crumbs”, and it’s most certainly not a linear path. But that’s what keeps it interesting, little sidebars of exploration, and then another hit of mind/body/spirit connection to HOME, as you said. I love the idea of being open and curious, and trying to let go of expectations, and letting it all unfold as it needs to. But then you trip a little and fall off the path and feel out of sorts and irritable… and the horses once again reflect our incongruence, helping and encouraging you to reconnect to your most authentic self, a little stronger each time. It’s a lifetime goal… even if that true self doesn’t quite fit into the many square holes of the current equestrian world. I second that Sandro already embodied many of the teachings in the book that was “too out there” for him. It would be fascinating to hear more of his internal experience that day. Unfortunately, just the mere act of trying to explain or create an experience so one can learn these teachings is already, by nature, one step removed from the essence of the actual experience itself, but it can be better than nothing. I can see why Sandro was more comfortable remaining in his experience where there is no right or wrong way, there is only what is. This I find to be the most powerful teacher. Sandro didn’t discuss his inner reflections on the accident he had with Benji; he’s not a guy to make a fuss, downplaying his role in the horse’s rescue. My guess is that he absorbed the experience on a cellular level and whatever internal changes he experienced were his alone to ponder. It warmed my heart to the core to know that he exemplified courage and kindness and stepped into the fray, and was able to advocate for the horse so that Benji was able to shake off the incident with as little added trauma as possible. And his brave action creates a ripple effect on the consciousness pool, one more layer of decency towards the animals we share this planet with. 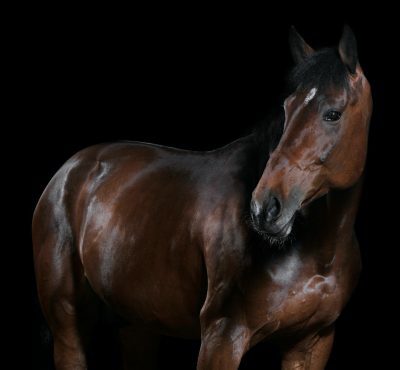 And a model to look towards and emulate – this is how it can be done when you work with the assumption that horses are sentient creatures who know when you are doing your best to help. Wow you amaze me every time. Your story touch me and just when I needed a sign. I love your style and story I felt I was there with Sandro. I too have read Linda’s stories and wanted to go to Airzona and learn from Linda. Funny how life leads us when we choose to see. Thank you for your very kind comments! Glad the story resonated with you; while Sandro’s accident happened quite a few years ago, it’s stuck with me and been something I’ve long wanted to write about. It’s so hard to go against so much ‘traditional’ belief system – that it’s too dangerous to get under a bridge to help a thrashing horse, to go against the highly educated authority figure that is the veterinarian… Sandro made choices that he intuitively knew where best for Benji, and I’ll always admire that. If you are still leaning towards pursuing more learning and sharing along the lines of Linda Kohanov, I couldn’t find words to speak more highly of Sandra Wallin at Chiron’s Way in Maple Ridge, BC. And of course being part of this brilliant Listen To Your Horse community is amazing, to read all these stories, well considered articles and the thought provoking comments from readers – we are truly blessed to live in this day and age as people who love horses. 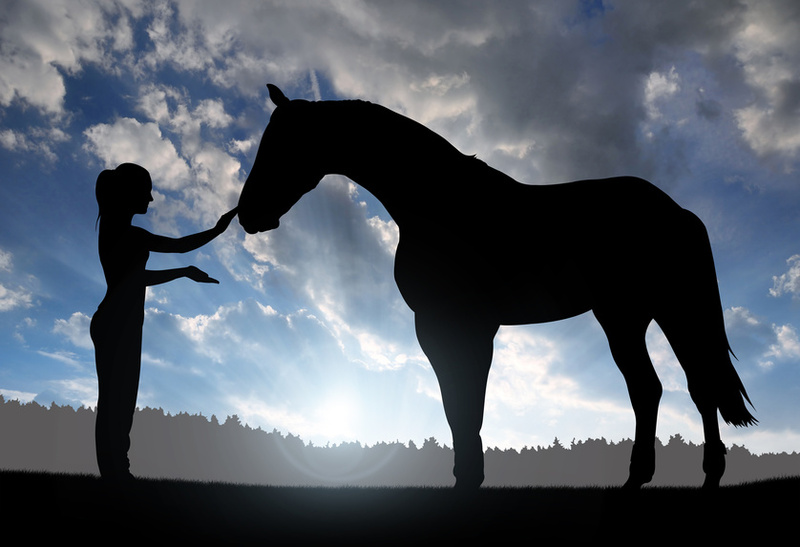 BTW – there is a Canadian program called FEEL (Facilitated Equine Experiential Learning) that is put on by Horse Spirit Connections in Ontario and I believe there are people bringing it to BC. The FEEL program was created by a graduate and long time friend of Linda Kohanov’s about 10 years ago. You might want to check it out. mom coming into my room because I was bawling my eyes out (I must have been about 6 years old) and I said to her “I want to go home”. I’m still searching for this, but with a new EXCITED energy that I haven’t had before. Home is coming. This is a wonderful piece Ainsley. I’m glad that Benji and Sandro came out of the experience okay. Riding Between the Worlds is now on my “to read” list. Thank you. Angie that is a remarkable memory, to know HOME and to have had such a strong pull, and knowing of it at such an early age. When you say that, it makes me think of people who’ve had NDE’s – does it feel similar to what you’ve heard described or is it something different? And enjoy Riding Between the Worlds – it’s a must read. So will be heading off to Arizona next week – YAY! Art, creativity, horses and sun – what could be better?? No doubt! And I’ll be sure to share highlights in a blog post. The workshop is quite expensive (we’re getting TWO prolific instructors), so that right there is going to limit access – but I’ll share what I can, especially if it’s a take-away people can access/experience on their own. What a surprise and how nice to hear from you! Yes, some changes here and yet things remain the same in spirit. Love working with the horses in a healing way, and have been gifted with so many beautiful, opening experiences and learning since we last met. very moving, this touched my heart. And yes when you are open to learn the teachings flood in.